Distribution: Within about 100-200 km of the coasts of eastern Australia and VIC, around areas settled by people. 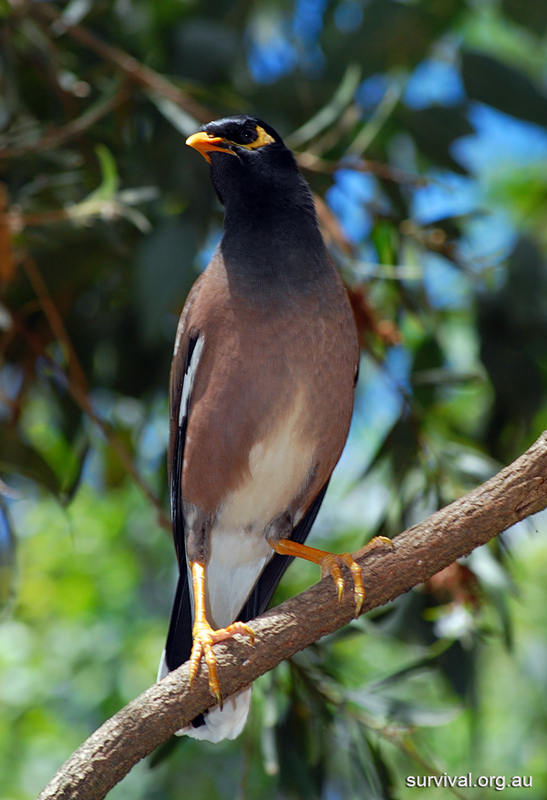 The Common Myna (usually called the Indian Myna) is a well known introduced bird of urban and settled areas. Some peope say it is regarded as Australia's number one feral enemy (which is a large claim considering the damage done by some of the other main feral species like the red fox and the cane toad). 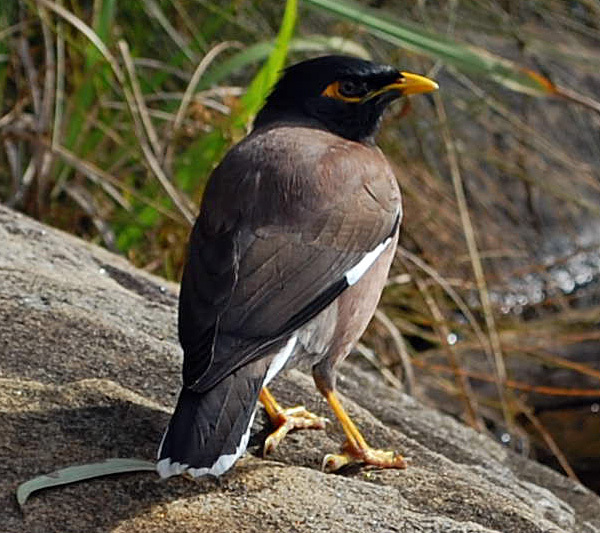 The indian myna takes over nesting hollows that would otherwise be used by native birds and small mammals, and they prey on nests of other birds. 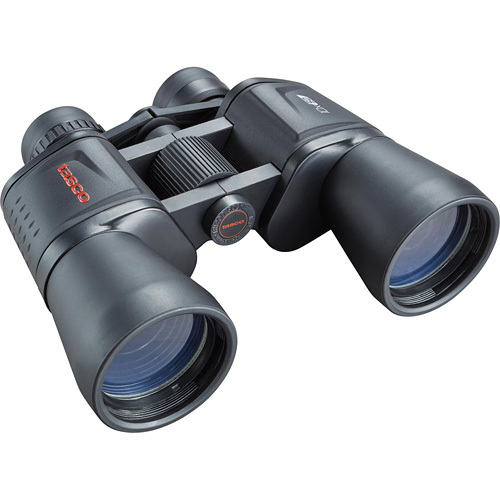 They are often seen around garbage bins and garbage in general. Although it is easily the most hated bird in Australia and many other countries, in India, where they come from originally (and where they belong), people like them. In India the Common Indian Myna is called the “Farmer’s Friend” because it eats insects that destroy crop plants. 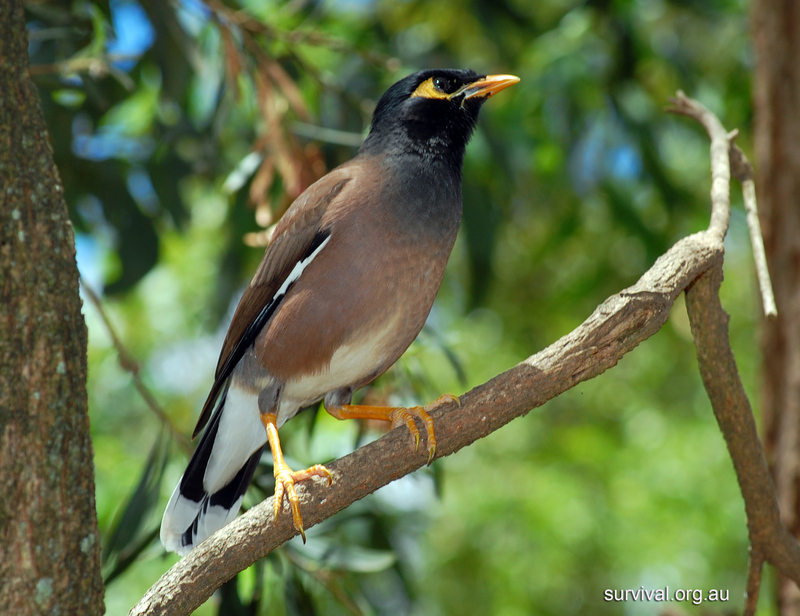 The name myna comes from a Hindi word, “maina” meaning a bird of the starling family, Sturnidae, to which mynas belong. Mynas in India are also regarded as symbols of undying love, because they often pair for life and maina is also sometimes used as a term of endearment for young girls. Photo: Lake Parramatta, NSW. High Resolution (2413 x 1858). Photo: Lake Parramatta, NSW. 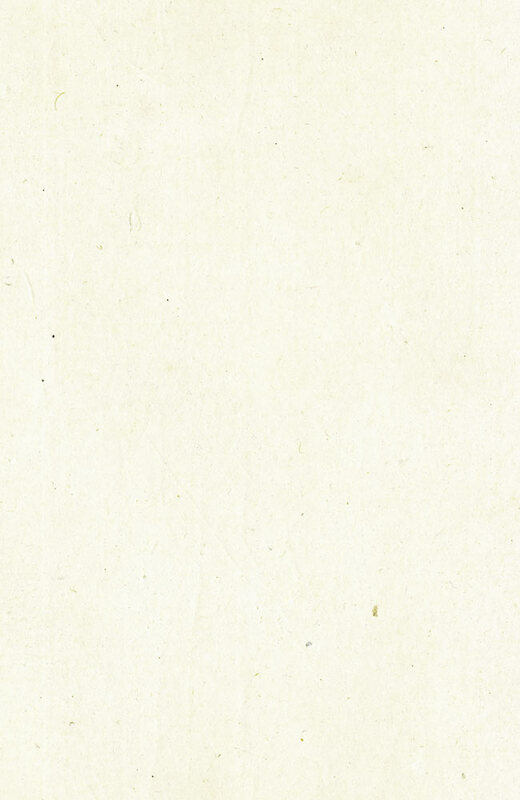 High Resolution (1636 x 2394).